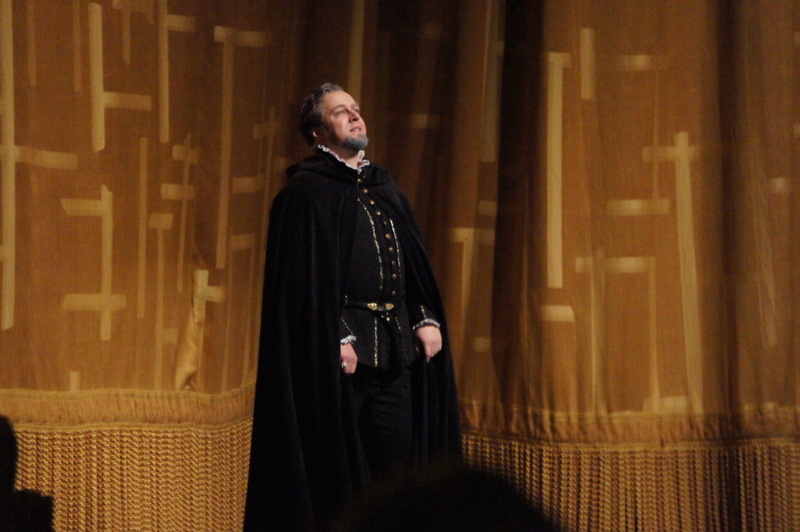 Placido Domingo and James Levine, a pair of sentimental favourites and masterful talents, draw much audience affection at Met Opera’s revival of Ernani. 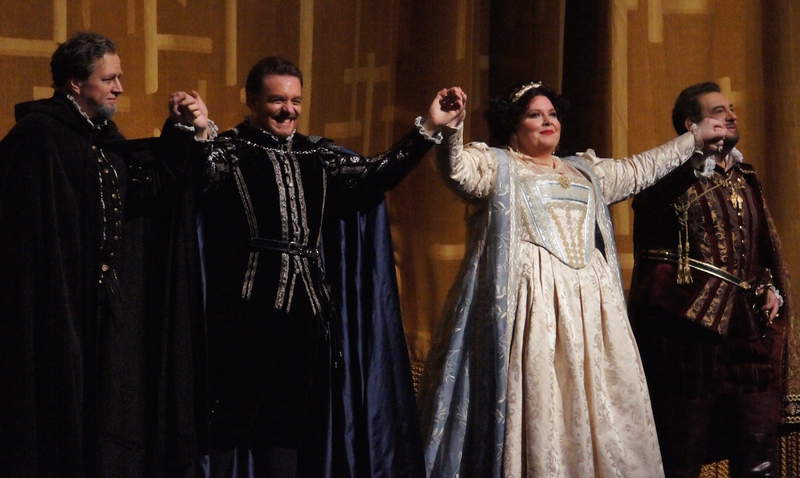 A sequel, of sorts, to current stablemate Don Carlo, Verdi’s Ernani is essentially the tale of a soprano pursued by a tenor, baritone and bass. Elvira loves Ernani but is forced to marry her uncle, de Silva, and is also pursued by no less than Don Carlo, King of Spain. 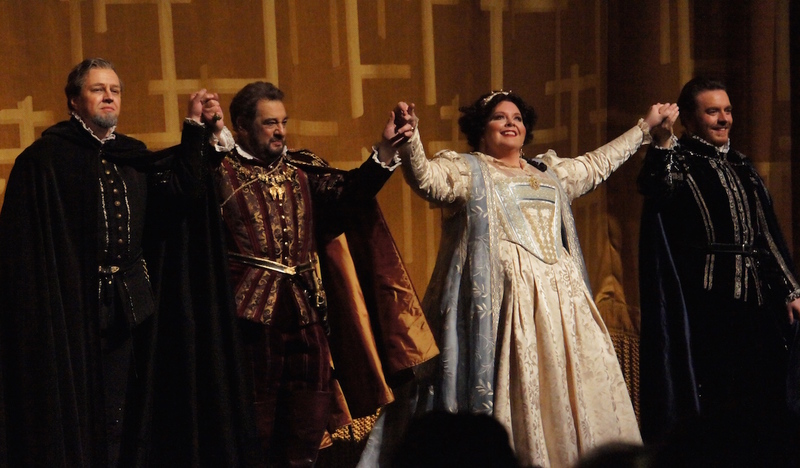 Verdi’s fifth opera is a terrific example of his melodic skill, his love of pulsing choruses and his innate knack for the overall theatricality of setting stories to music. 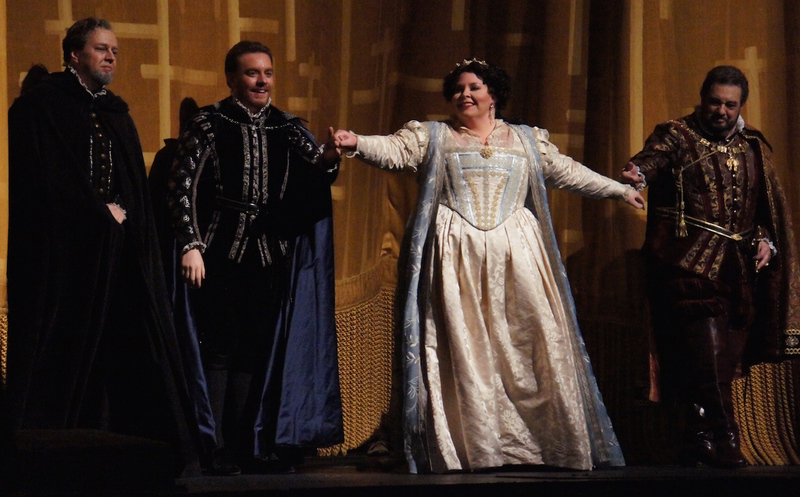 The opera features a wealth of wonderful, instantly accessible arias that are both its strength and its downfall. The action is restricted by stopping for aria after aria, and never builds up any pace or excitement. Coupled with this is the dreary stage direction by Peter McClintock, which features little more than a static stand-and-sing style. Chorus direction is even drearier, with their lack movement at odds with the rousing music they are often singing. Pier Luigi Samaritani ‘s production originated in 1983 and, while it is designed on a suitably grand, sweeping scale, it is no surprise that the staging is highly traditional in execution. Act three features probably the most exciting visual, with a life-size statue of a horse and knight above a tomb, around which a staircase curves up to dizzying heights. Having been designed by Peter J. Hall, costumes are reliably lavish, detailed and historically evocative. Fortunately, the evening is well and truly elevated by the virtuosic singing of the four lead performers and chorus. 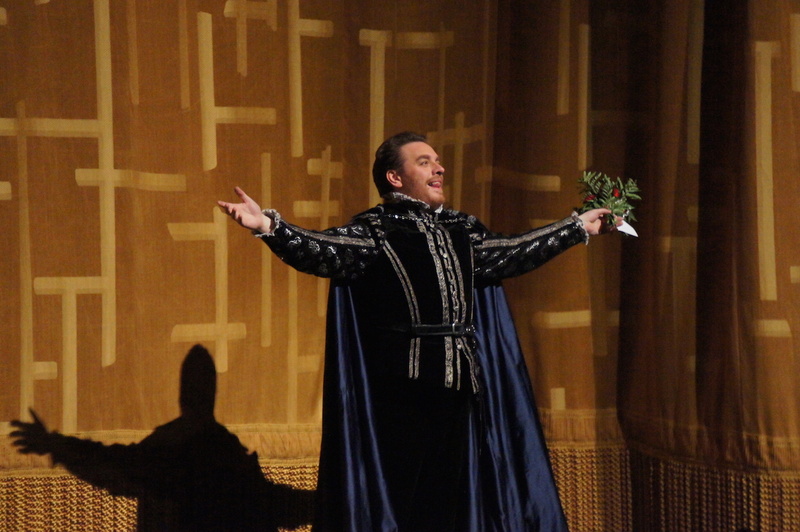 Italian tenor Francesco Meli, as Ernani, sings with a consistently thrilling tone that many tenors produce just for high notes. Meli exhibits crisp Italian diction, his singing also characterised by the way he lovingly caresses romantic phrases. 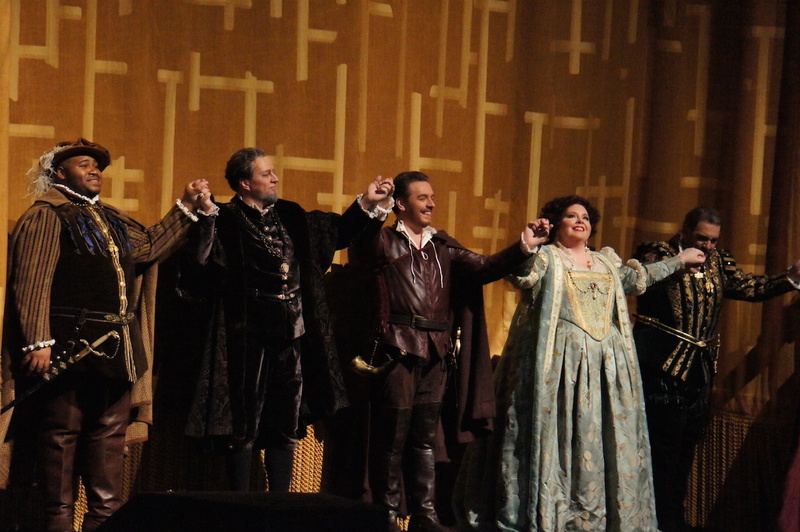 Meli’s tenor rings out over the large male chorus at the end of act two as Ernani agrees to take his life when de Silva sounds the not-so-happy hunting horn. As leading lady Elvira, American soprano Angela Meade demonstrates exquisite control of dynamics, and adorns key phrases with gorgeously attractive ornamentals. In ensemble pieces, Meade’s luscious soprano rings out over the entire chorus. 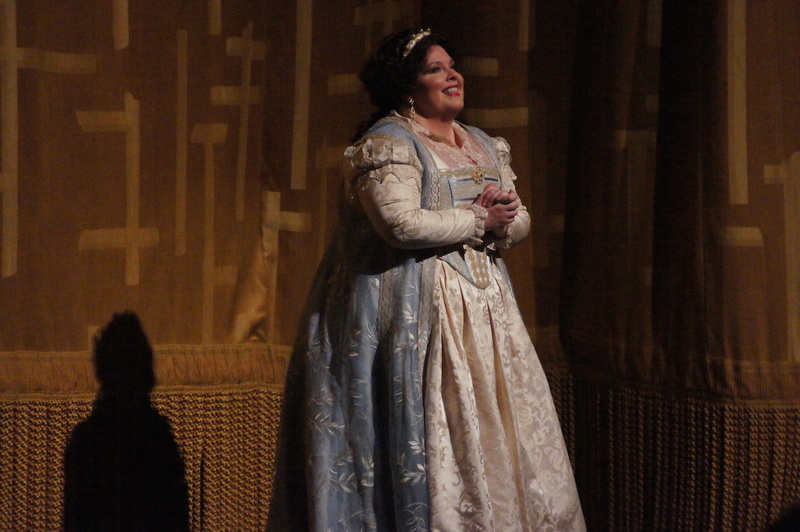 Meade maintains a focused, gracious presence as the saintly Elvira, never allowing a hint of melodrama into proceedings. Legendary vocalist Plácido Domingo remains a wonder, the voice an incredible case study in vocal preservation. 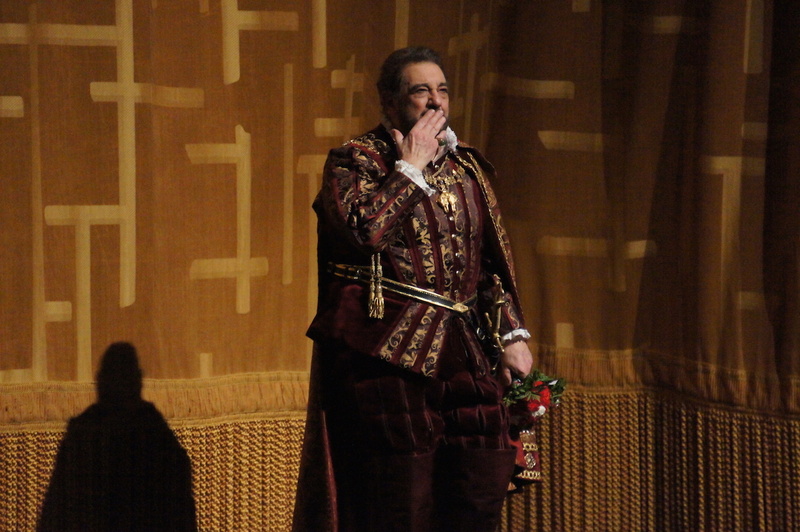 His role of Don Carlo is a younger man and even though his hair, eyebrows and goatee need to be coloured black, the man himself still provides plenty of virility in his own right. Domingo’s singing still has the characteristically expressive tone, but the power is not quite on par with his three colleagues. At the opening of three, as Carlo waits to see if he will be named Roman Emperor, Domingo’s rendition of cavatina “Oh, de’ verd’anni miei” is a lovely highlight of the night. Ukrainian Dmitry Belosselskiy unleashes his mighty bass as the nefarious Don Ruy Gómez de Silva. Belosselskiy has a particularly pure and unwavering tone that rings out strong and clear. He plays the villain completely straight, as a man who simply believes that he a right to a beautiful young maiden and all others can be damned. Beloved maestro James Levine rises to the warmest of welcoming applause, and leads the Metropolitan Opera Orchestra in a confident, rousing and splendid rendition of Verdi’s rhythmic, melodious score. 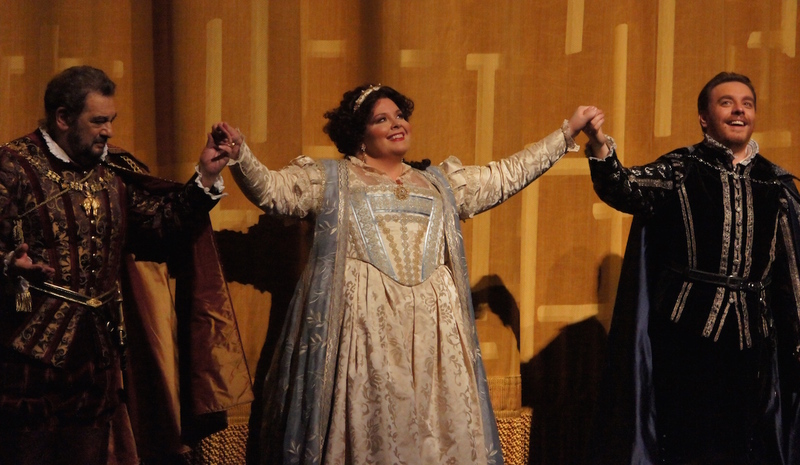 Ernani was reviewed at Metropolitan Opera House, New York 7.30pm Tuesday 31 March 2015. It plays selected dates until 11 April 2015.